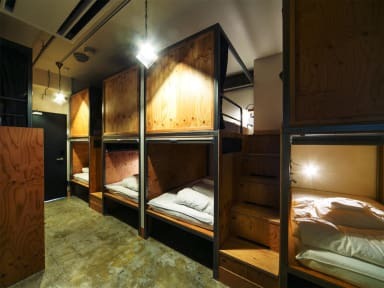 Awesome hostel, probably one of the best I've stayed in Japan and overall. The owl at reception was an interesting addition, especially when I realised it was real. Highly recommended. It was a very clean, very comfortable hostel with big enough beds (I'm 195 cm) and provided linens+towel. The closest JR station is Hatchobori, but it is within walking distance to Tokyo Station. I was able to tour the city without ever purchasing a subway ticket. Not a 100% positive review because it didn't have a good atmosphere, the club downstairs is not good for conversation/meeting people. The owl was cool though. Nice hostel, new and with all the facilities you need. 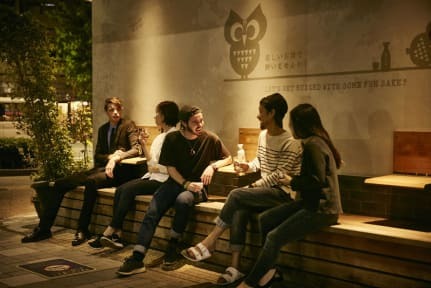 I think it' s a way to big and the atmosphere it' s not like a backpacking hostel.